Do you want cops poking around your genetic data? 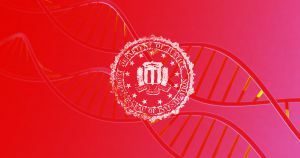 Family Tree DNA, a major consumer genetic testing company, gave the FBI access to its massive DNA database. While running genetic analysis on evidence isn’t new, Family Tree DNA is the first private company to voluntarily grant a law enforcement agency to access its data, according to BuzzFeed News. For the company’s roughly 1 million customers who wanted to learn more about their heritage, that means the FBI can poke around in their genetic profile — and, by extension, that of their relatives. Ironically, Family Tree DNA was recently deemed the best DNA kit for consumer privacy by both U.S. News and PCWorld. Perhaps in response to that discrepancy, Family Tree DNA’s founder and CEO Bennett Greenspan published a statement on Thursday arguing that cooperating and sharing information with the FBI didn’t violate the company’s privacy policies. He said that the FBI can upload and analyze crime scene data, but can’t access anyone else’s information without a warrant or subpoena. That lack of transparency, along with the surprise announcement that the FBI could use Family Tree DNA’s tools, has displeased some former employees.